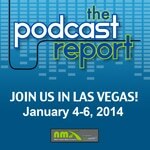 Archive by Category "NMX Vegas 2013"
Thanks, Dino, for a great interview with Dana! Dana also sat down with NMX’s Rick Calvert and Dave Cynkin to talk more about how the UFC is using social media, so if you missed that interview, you can see it now here. Dino was one of our NMX 2013 speakers, and his session was packed. You know things are good when it’s still standing room only at the end of the presentation! For this week only, Dino’s session is 100% free on NMX University, the home of our 2013 virtual ticket. Don’t miss out; check out Dino speak about Insane Loyalty today! 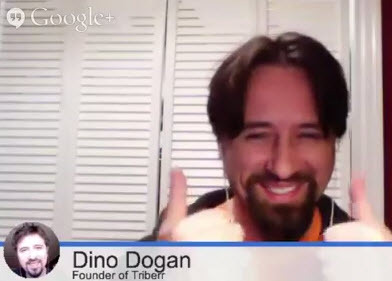 Dino Dogan (0:08): Hello everybody, my name is Dino, founder of Triberr, and I’m sitting here with Dana White. We’re broadcasting this from Vegas for BlogRoll.com. And, it’s an absolute pleasure for me to sit here with the president and the face of the UFC. And the way UFC has been using social media is absolutely bleeding edge and very fascinating. And we’re going to talk to Dana to get some insights into how he uses social media. (0:41)So, Dana, thank you for being here. Excellent keynote earlier. I want you to make a business case for Twitter. How do you use Twitter to actually lead your business? Dana White (0:55): The way that I personally use Twitter is I speak directly to the fans. I talk to the fans one on one. You know, I’m not speaking for the company, as the company, it’s me. You’re talking to me personally. And that’s the way that I like to do it, but what Twitter does for me, as far as the night of a fight, right, which is different from anything we’ve ever done in the history of the company is, you always have problems. Things are always going to go wrong. You know, I’ve had situations where people’s seats were blocked by a camera or pay-per-view goes down in Indiana, a laundry list of things that I wouldn’t have known until Monday. But because of Twitter, I can handle it that night, get everything taken care of, make sure that everybody has a good experience. That’s my job that night, is to make sure that everybody that bought a ticket or stayed home to buy the pay-per-view or watch it on free TV is having the best experience they can possibly have. So, I love that. That’s one of the million aspects I love about Twitter and social media. Dino (1:58): Yeah. And you can respond to situations, to the crisis in real time. Dino (2:02): Yeah, that’s amazing. You’re out there. You’re doing it yourself. You almost take pride in saying that you’re bypassing the PR department; the filter that’s created between you the person and the audience. And there’s certain inherent danger in that. And, clearly, you embrace the danger. And the benefit of it outweighs the danger. But, you’re out there, you have 400 fighters doing what you do, representing the brand. And just tell us a little bit about the crises that you’ve encountered. How many of them have you encountered? How exaggerated is the danger of getting out there? Dana (2:46): Yeah, it’s very exaggerated. I mean, yes, we’ve had a couple…I have 400 plus guys tweeting every day. I tweet every day. You know, you’re going to have some problems here and there. The biggest problem that we’ve ever had is guys trying to be funny. Telling jokes and, basically, I tell these guys, use common sense when tweeting. You’re not a comedian. Leave the jokes to your friends, in your inner circle. Don’t tweet jokes. But, really, we’ve really had no problems. There’s going to be some stupid stuff here and there but, at the end of the day, people need to relax. Dino (3:22): Right. It’s a tweet. Dana (3:23): It’s a tweet. It’s a tweet, relax. Dino (3:27): Get over it. That’s terrific. A lot of people want to know. UFC is a giant franchise. You guys are just going gangbusters. You’re on this incredible upslide. Are you going to go IPO? Dana (3:43): I never say “never”, but I’d have to say never. I don’t think we…I don’t think so. I don’t think we’d do it. I haven’t seen too many great experiences with going public. And I just don’t think this is one of those businesses that we could really run the way that we wanted to if we’re not…The thing that I’ve always said since day one, too, about going public is, nobody believed in this thing. When we first bought it, started to build it, nobody believed in it. Dino (4:13): I just want to say that I did. 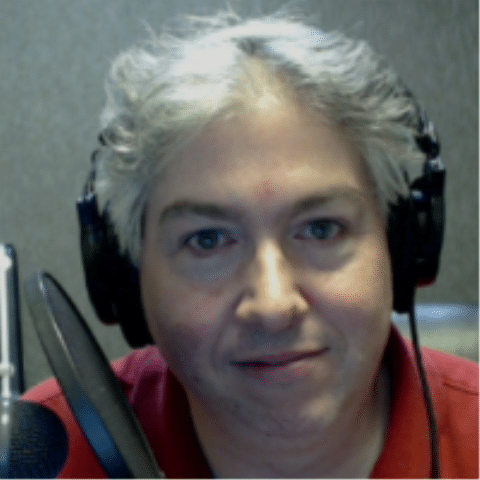 Dana (4:14): Well, I’m talking about the business world, right? Now, all of a sudden, I’m going to take advice from these guys, you know, on Wall Street who never believed in it in the first place? Dana (4:24): I don’t see it. Not while I’m here, anyway. Dino (4:25): Gotcha. Terrific. Anderson Silva/Georges St. Pierre fight. I know you’re working on it. This year? Could it happen this year? Dana (4:34): Yeah, it could. You know, obviously, everybody knows that GSP wants to fight Diaz right now. That fight’s going to happen. And after that fight, should Georges St. Pierre beat Diaz…yeah. I want to make the fight. I mean, everybody thought it was going to happen after Georges’ fight with Condit. The kid had, you know, almost two years off with a knee injury, rehabilitating. And he wants another fight first, so, we’ll see what happens. Dino (4:58): Fair enough. You have your employees actively engaged in social media. And, I know this is not a fair stereotype, but if a general population was to imagine the worst type of person to represent your brand, that would be a fighter. Because they’re perceived as brutes, which they’re not. Dino (5:23): I know this. But, there’s…you have a lot of your employees actively engaged, getting out there, representing your brand and there’s a certain amount of training that they have to go through in order to…just to know what tools to use, how to use them and how to represent themselves. Like you said, don’t try to be funny, you’re not a comedian, right. So, tell us a little bit about the training that these guys go through for social media. Dana (5:50): Yeah. It’s not as hard as you would think. Not only do I have, you know, 400 plus fighters. But when you say my employees, my actual employees inside the company are all on Twitter too. And, you know, obviously you’ve got to educate them on how to use Twitter, how to do this, how to do that as far as using social media goes. And then is all about using common sense. And I’m very lucky in that I’m not dealing with stupid people here. Yes, we have 400 plus fighters. Most of these guys are college educated. You know, very smart guys. Guys who, not only are the representing the UFC and the sport, but they represent themselves and their own brands and their own business. For instance, like Anderson Silva. Anderson Silva has 3 million followers on Twitter. When he’s done fighting and he moves on to the next chapter of his life, those 3 million fans are going to go with him into the next chapter. So, he’s not just representing us and the sport, he’s representing himself, you know, and his family and whatever he decides to do when fighting is over. Dino (6:51): Right, yeah. I have a theory about Anderson Silva. Is he really a robot? Dana (6:56): I think he might be. I’ve wondered that myself too. He’s an amazing, incredible athlete. Dana (7:04): Yeah, he really is. Doesn’t get the credit he deserves, in my opinion. Dino (7:07): Yeah, he is just incredible. Dana, this was a dream come true. Thank you so much for sharing your insights. 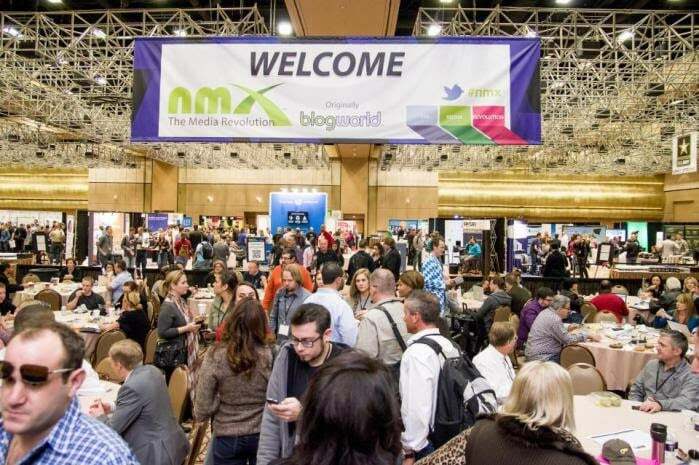 Dino (7:16): And it’s great to see you here in Vegas at BlogWorld. 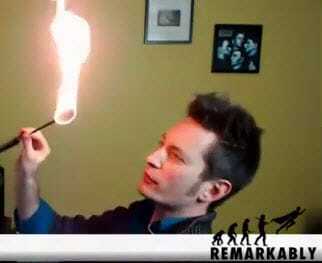 Dino (7:19): NMX! Thank you, guys. We often talk about creating a profile, an avatar of sorts, for your audience members so you understand who you’re creating content for. This is important whether you’re a blogger, podcaster, web series creator, or even business owner. If you don’t know who your audience is, it’s extremely hard to create content for them. At NMX 2013, Dino Dogan spoke on turning your audience into extremely loyal fans, and this is one of the topics he covered during his session. But he took a step farther. Don’t just think about who your customer is. Be your customer. 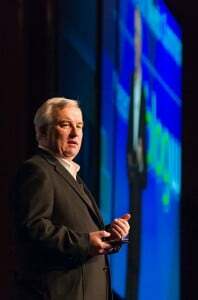 If you’ve ever seen our NMX co-founder Rick Calvert speak before a keynote or if you’ve ever had a personal conversation with him, you might have heard him talk about why he decided to start NMX (previously BlogWorld). 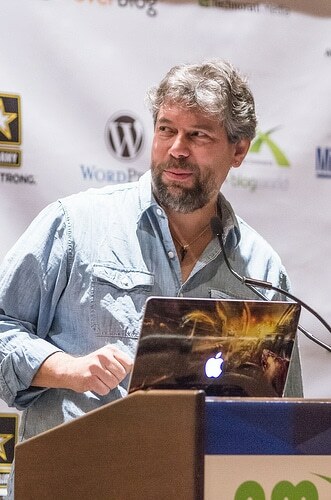 Rick was a blogger himself in the early 2000s and being someone who has always worked in the trade show and conference industry, he decided to attend whatever trade show or conference was out there for bloggers. Rick was astounded to find that there was no event out there to provide more education for bloggers and others in the new media industry. So, he decided to create one. 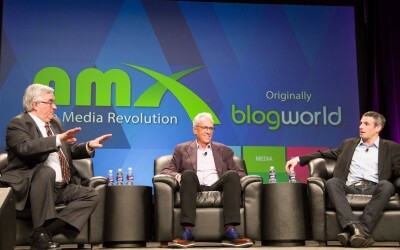 This was the birth of BlogWorld, which has now evolved into NMX. Rick is his own customer, and this is one of the things that lends to the success of this conference. 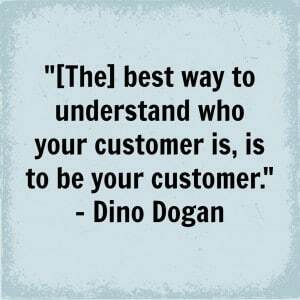 I use the term customer as Dino has in his presentation, but very loosely, to also not just mean people who are buying from you, but to also mean people who are doing anything you want them to do (read a blog post, listen to your podcast, etc.). You have to be this person to truly understand this person. 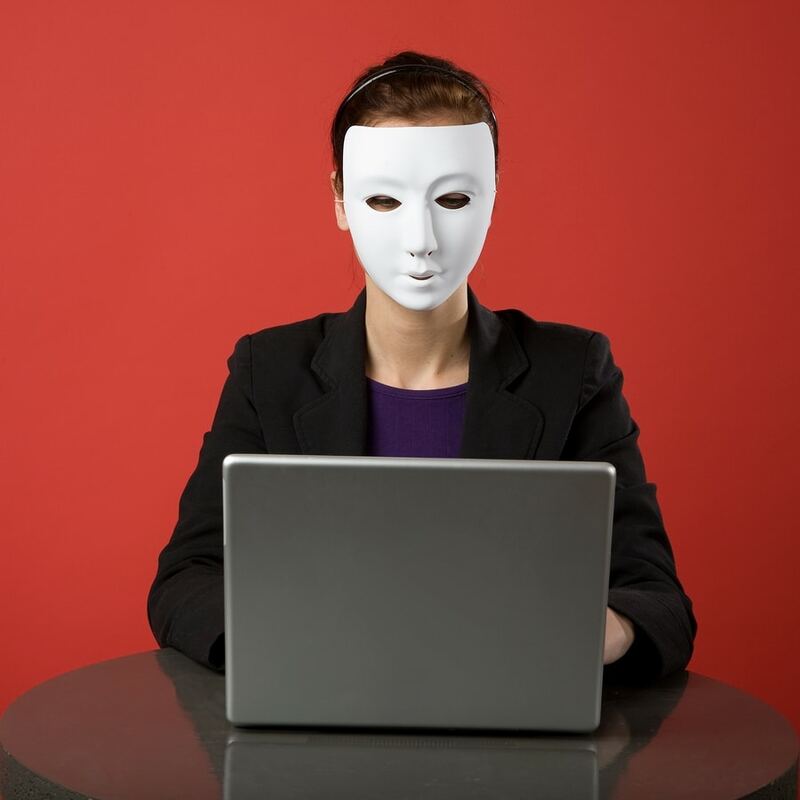 Creating an avatar is great, but it’s impossible to truly understand another person through research. You don’t understand what it’s like to be a mother until you’re a mother (or so I’ve been told…I am not a mother). 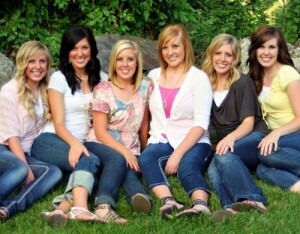 You don’t understand how it feels to lose a loved one until you’ve experienced that loss yourself. You don’t understand the frustration of not finding clothes that fit if you’re someone who always walks into a store and finds several options. And if you don’t understand what your customers are going through, what they truly feel, you can’t do the best possible job creating content or products for them. Over the past two(ish) years, I’ve watching the freelance writing industry change drastically from what it was like back in 2005-2006, when I first started writing online. 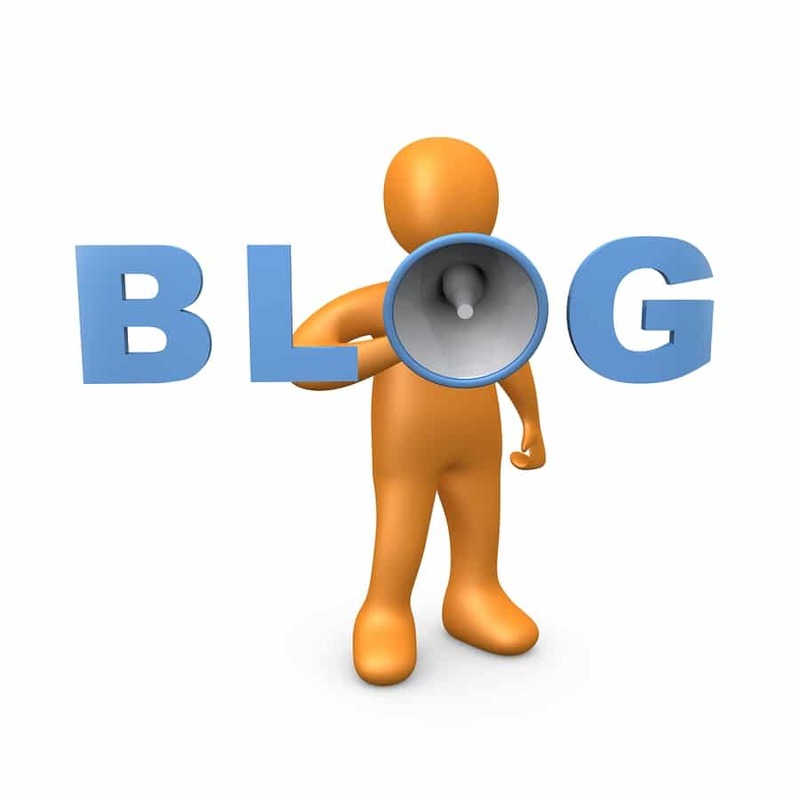 At that time, it was very easy to find content writing jobs. To make ends meet as a recent college grad, I wrote about everything from lawn care to oil rig jobs. Today, those jobs are nearly non-existent. Why? Because people realized that someone who doesn’t own a home with a yard can never truly write a great article about lawn care, no matter how much research she does. At least not compared to someone who is passionate about that topic. Become your customer if you aren’t already. You’ll be amazed at what you learn and how that affects your decisions. Being your own customer was just a small piece of Dino’s 2013 NMX presentation on insane loyalty. But the good news is that you can still attend the session virtually, even if you missed attending live in Las Vegas! 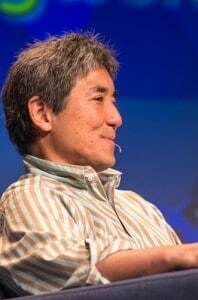 Become an NMX University Premium Member and you’ll get access to our complete 2013 Virtual Ticket, which includes a recording of Dino’s session, along with sessions from hundreds of other speakers! 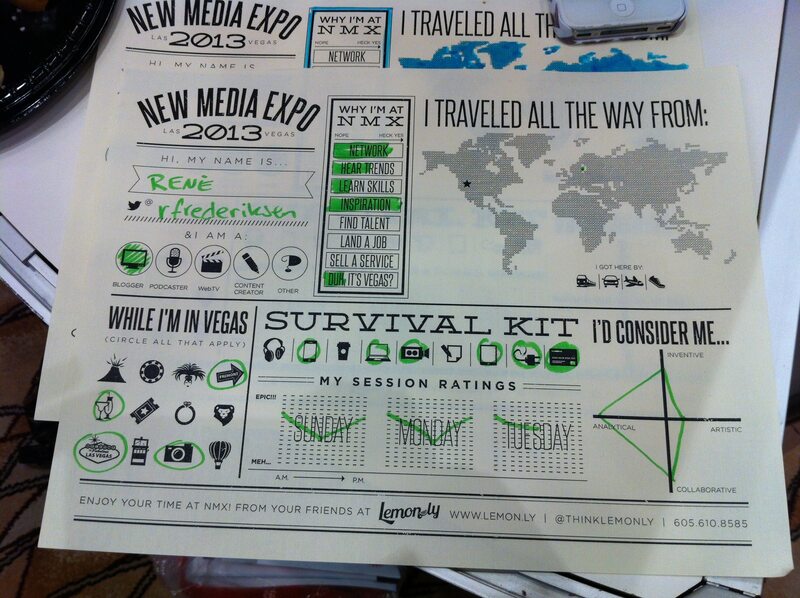 At NMX this month, many conference go-ers filled out fun infographics about their NMX experience. 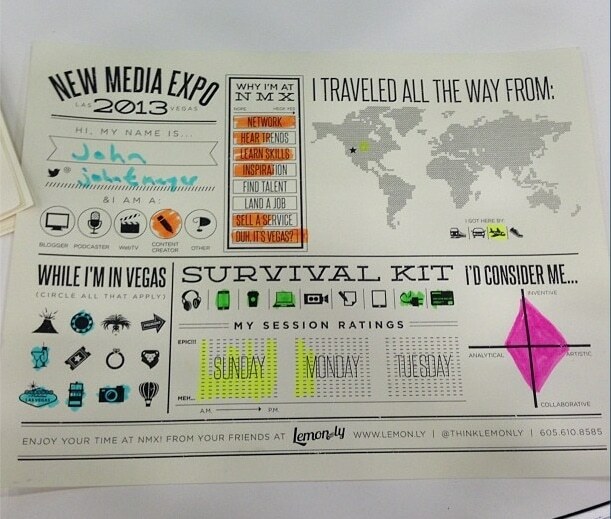 The fine folks at Lemon.ly created these for attendees to color in at its booth and at our infographics session led by John Meyer. We loved this idea and thought we’d share photos of some of the finished products. 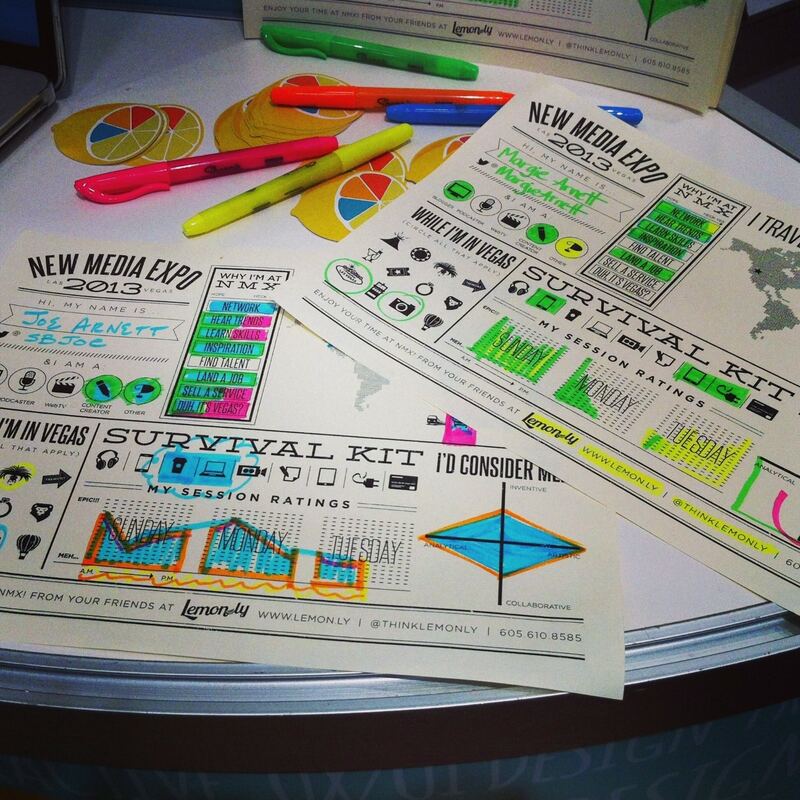 Want to create your own NMX infographic as you reflect on your conference experience? Just download the updated infographic below, fill it in, and send it to our Community Manager Deb Ng at deb@nmxevents.com. She’ll share them on our Facebook page! Download and Make Your Own NMX Infographic! We often think of LinkedIn as a professional social network for individuals, but did you know LinkedIn could also help build your business? At BusinessNext 2013 (presented by NMX), speaker Stephanie Sammons, CEO of Wired Advisor, presented “7 Powerful LinkedIn Marketing Strategies for Building Your Business” – and today, I wanted to talk about one of the most important aspects she covered: profile creation for your employees. The more your employees are visible on LinkedIn, the more your business will be visible on LinkedIn. Visibility leads to brand recognition, talent acquisition, and more, so it’s definitely good for every company to have a presence on LinkedIn. 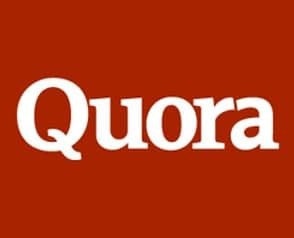 Consider spending a day training your employees on this platform, or at least covering the basics of creating a good profile. According to Stephanie, here’s what your employees need to keep in mind when creating a profile. One of the biggest mistakes people make with LinkedIn is not keeping the information up-to-date. An employee who is now a manager or even higher in your company might still have their previous job listed. Worse, employees might choose to have unprofessional information listed on their LinkedIn profile, which could reflect poorly on your company as a whole. 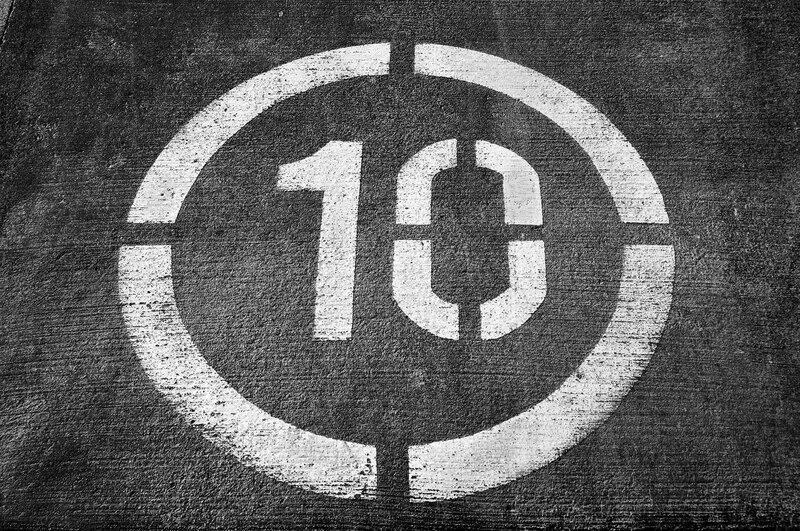 Go over what is appropriate with your employees and encourage them to update often. Most people who use LinkedIn do not use the status update capability or they have it linked to Twitter, where updates are commonly pretty casual. Instead, encourage your employees to update LinkedIn during the day, posting professional (and non-confidential) information about the daily happenings at the office. Make sure your employees are linked with one another and encourage them to allow connections with other people they know. More 1st level connections lead to more 2nd level connections, which lead to more 3rd level connections…and these are all people who are, in some way, connected to your company. If your employees grow their connections, your visibility on this platform grows as well. This just scratches the surface of Stephanie’s BusinessNext session at NMX 2013. Want the whole thing? Check out our 2013 Virtual Ticket, available exclusively at NMX University for access to her session as well as hundreds of other session recordings from our event. 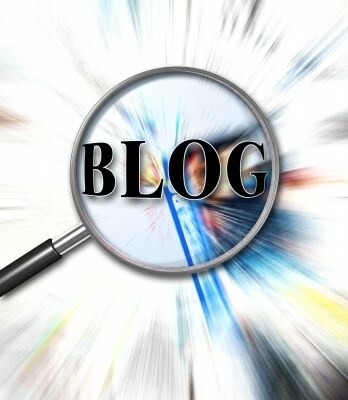 If you’re a blogger who wants to find a new audience, why not consider writing for The Huffington Post? Easier said than done, right? Not if you’re part of the NMX community! The Huffington Post, with its 50 million unique visitors per month (Comscore, November 2012), is a powerful platform. We’re excited to offer content creators the chance to submit their posts directly to Ariana Huffington. We’re talking direct access here, so don’t miss out on this amazing opportunity. 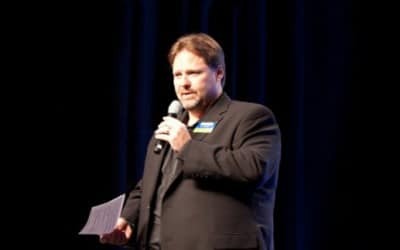 This is a unique opportunity for our NMX community, so don’t miss out. Email your submission for consideration and you just might make it onto one of the most popular blogs out there. Good luck!